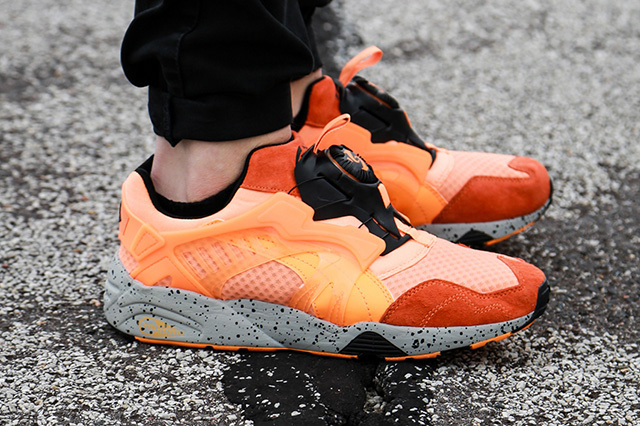 The classic PUMA Disc Blaze gets yet another fresh colorway perfect for the Summer time with these Mesh Revolution "Fluro Orange" versions. Different orange tones lend themselves to the upper of the shoe looking like some orange sherbert. The shoe sits on a grey speckled midsole which nobody can complain about. 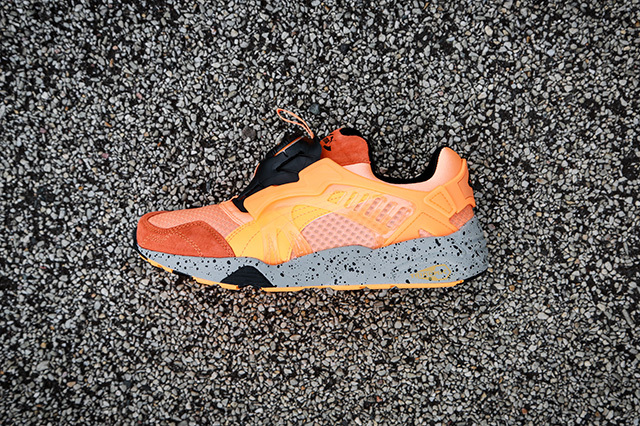 You can pre-order these now at select PUMA retailers worldwide like Afew here so hurry as these will be a quick seller. Continue below for an additional shot of these beauties.